In 1620, Sontag Spindler moved from Burgundy to the Pfalz where he began to purchase vineyards and became a viticulturist. He purchased the Kirchenstück in 1656, one of Germany’s most revered parcels, from the old hospital in Deidesheim. Like many German vineyards, the family’s holdings were splintered in the early 1800s, by law of the Napoleanic Code, and Johann-Josef Spindler’s holdings were divided evenly amongst his three sons: Heinrich, Eugen and Wilhelm. Each son established a separate winery— hence the birth of Weingut Heinrich Spindler. The estate is a very traditional winery located in the village of Forst in the Pfalz. Today the winery is run by Markus Spindler, great-grandson of Heinrich Spindler, who is carrying the estate through its 11th generation of winemaking. Spindler is blessed with all of the top Forster sites, and his style is very nuanced and pure with more attention given to detail and finesse than to power and richness. Markus began his winemaking career in 1996 where he spent three years as an apprentice at the following estates: Dr. Deinhard (now von Winning), Egon Müller and Friedrich Becker. Markus was not convinced he wanted to lead the life of a vigneron after these internships, and after eighteen months in civil service, he embarked on a year-long stage at Schug Winery in Sonoma, California. Moving abroad and taking some time to reflect on his family estate helped put things into perspective for him. “I needed the distance to realize what a treasure we have at home,” he said. After California, Markus enrolled in Germany’s leading winemaking institution in Geisenheim, Rheingau. During this time he ventured to the Languedoc to apprentice at Château Capion and to Austria where he worked for the esteemed FX Pichler in the Wachau. Markus wrote his final thesis about aroma development throughout the aging process of riesling, after which he graduated and returned to Forst to take over the Heinrich Spindler estate in 2007. The village of Forst is charmed with some of the most dynamic vineyards in the Pfalz—if not in all of Germany. The vineyards cover the slope between the village and the Haardt (Voges) Mountain forest, which offer a good amount of shelter from inclement weather. The top sites tend to be in the middle of the hill, much as in Burgundy, at 120 to 150 meters, facing south and southeast. Here the soils are rich in potassium and basalt, and they rarely suffer from drought because the soil structures are deep. 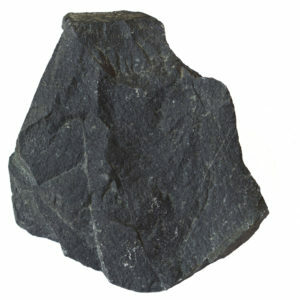 There are several basalt quarries in the area which have long been mined for roads and construction, the shards of which have been scattered in the vineyards since the 1800s to retain heat and improve quality. Markus plows his soils, plants cover crops and uses compost fertilizers that he makes himself. All of the top sites are harvested by hand, with the picking crews making two and sometimes three passes for quality. Maceration is short, pressing is gentle and everything flows via gravity. Fermentation starts with ambient yeast, but sometimes cultured yeast is used in order to ensure the rieslings finish fully dry. Markus prefers long, cool ferments that take place in stainless steel tanks and neutral Stück (1200L casks) and Doppelstück (2400L casks). The wines remain on the fine lees, with occasional batonnage, until they are bottled between February and June. Bud break and bloom were two weeks earlier than the average year. The summer showed high temperatures with sufficient and well distributed rainfall. The grape harvest took place in the month of September and we picked healthy and perfectly ripe grapes. Physiological maturity coupled with high acidity and crystal clear fruit characterize this vintage. 2016 was marked by an extremely wet and cool spring and early summer temperatures. We struggled, especially in the pinot vineyards, to keep the grapes healthy. By the end of June, the weather turned warm and remained dry until the time of harvest. We began harvesting riesling grapes on October 3rd—what was the end of the harvest in the 2015 vintage. The wines display reductive herbaceousness with great minerality and depth. Began as an average year in mid-April after which the weather remained hot and very dry throughout the entire summer. We were very lucky, that we have in Forst a Pleistocene compaction horizon 10-15m underneath the surface where water is moved down from the Pfälzer Wald.?? And old vines with big and deep rootstocks of curse. Spindler began picking on September 16th and within two weeks had harvested very concentrated, ripe and healthy grapes. Must weights were high and acidities were stable which resulted in very balanced wines. An outstanding vintage, overall. This was the earliest harvest in the history of the winery. Bud break was early for riesling around the 4th of April, what was roughly 20 days ahead of schedule, making it the earliest bud break in Spindler’s history. Blooming was hot and fast. The first half of the summer was dry but the vines got enough water due to rainfall in August. Harvest began on the 20th of September and concluded the 6th of October. Good ripeness with medium acidity and healthy grapes. A year with very diverse weather conditions. Bud break was late at the beginning of May, 10 days later than average. May was cold with an average temperature of 12,8°C. Blooming was inherently late and many berries didn’t properly develop throughout veraison. Harvest was late and fast, starting on the 9th of October and ending on the 25th. Must weights were low as were yields, and acidity levels were high. The result was crisp rieslings from a seemingly cool climate region. Roughly 230 million years ago a tropical sea filled the Rhine valley from the south. Algae and shellfish set off to the shallow edges and form small limestone reefs. 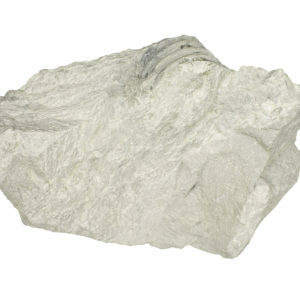 Today, limestone is predominately found throughout Ungeheuer, Musenhang and Kirchenstück. 250 million years ago primeval rivers brought their sediments to a dry desert landscape. The iron in the stone oxidized which is what gives the rock a light reddish tint. 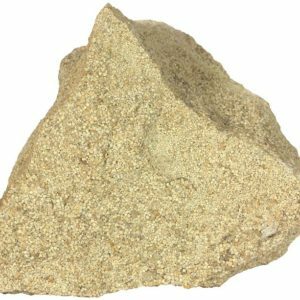 In some places, hot thermal water dissolves out the iron resulting in pure yellow sandstone. This is the base of all the Forst vineyard sites. 53 million years ago, when the collapse of the Rhine valley began, the side bolsters became ridden with deep cracks. Near Forst, magma rose to the surface and cooled down to produce a black basalt stone. This soil can be found in the following sites in Forst: Pechstein, Jesuitengarten and Kirchenstück.